You all know how I feel about ice cream. It's more than just love, it's an obsession. One of my goals last month was to make some homemade ice cream, because I don't do that as often as you think I would as president of the "Ice Cream Lovers Anonymous" Club. 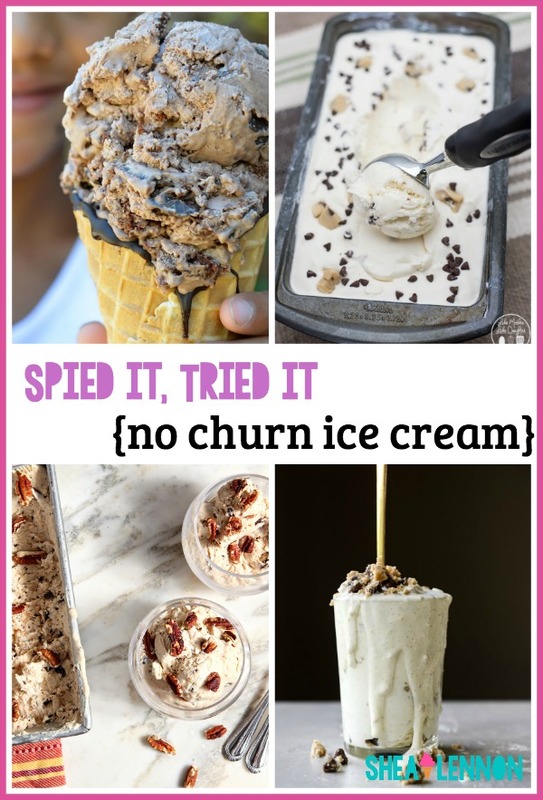 On my "For the Sweet Tooth" board, I had pinned several "no churn" ice cream varieties that looked both delicious and easy to make, so I decided to choose one of those to try. All of these sound pretty dang wonderful, but I'm a cookie dough lover through and through, so I decided to try the classic chocolate chip cookie dough ice cream from Like Mother Like Daughter. 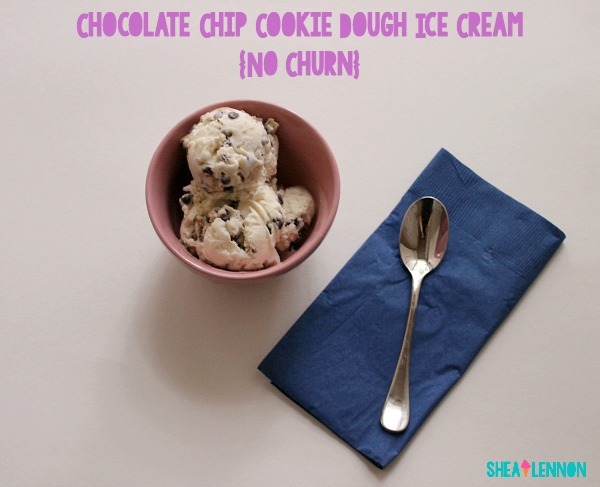 Compared to the regular "churned" variety, it was unbelievably easy to make. No doubt I'll be trying one of these others soon. The ice cream itself is very simple and requires very few ingredients: just sweetened condensed milk, heavy cream, and vanilla extract. To keep it nice and simple, you could use pre-made cookie dough (if you're not worried about eating raw cookie dough... which I'm not, don't judge me). But I did go ahead and use the recipe and make the cookie dough to go in this ice cream, and I don't regret it one bit. While I don't think it tastes identical to a traditionally made ice cream, I don't think that anything is lost by doing it this way. It still tastes excellent and it's a heck of a lot easier. I won't be Craigslisting my beloved ice cream maker attachment for my stand mixer anytime soon, but it's nice to know that there's an easy alternative. 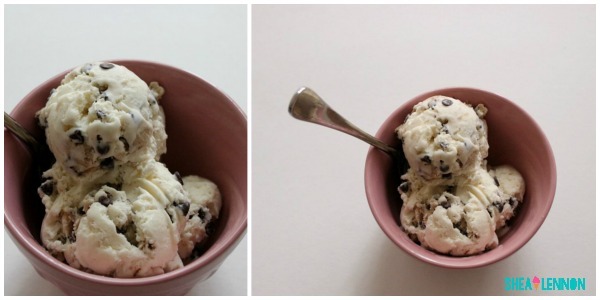 Have you made any ice cream (or just eaten any good ice cream) this summer? Linking to Pin to Present (quite belatedly), The Creative Corner, and Tuesday Talk.